1171. Kady, Wong Hoi Kei & Kate, Lau Hoi Ying & Perry Li. Urban Algae Culture in Gangxiacun, Shenzhen China. The Urban River from waste to source. Masterplan for an urban village of 20,000 people in Shenzhen city of 14 million people. 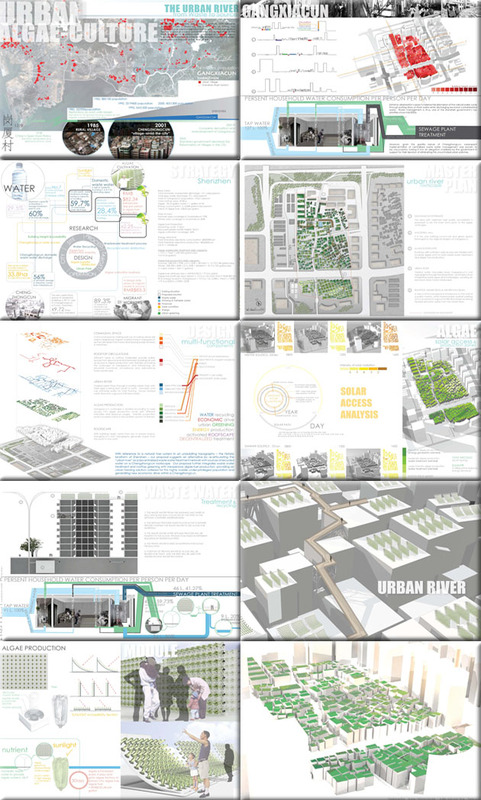 Redesign with an elevated urban river roofscape, greening with modular algae units for waste treatment and fuel production, urban farming, community space. For more information about this entry, contact the author. email: kadysky@gmail.com.